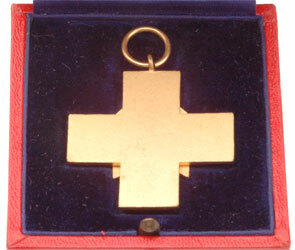 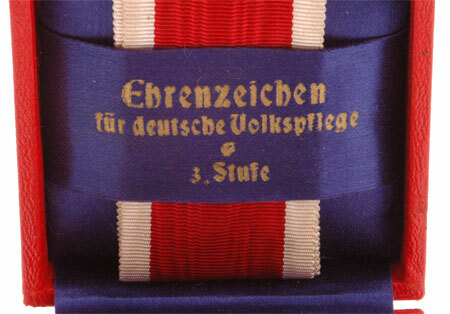 Cased, by Godet & Co.
Ehrenzeichen für Deutsche Volkspflege III Klasse: Gold plated and enameled tombac, two piece construction, mint unissued condition. 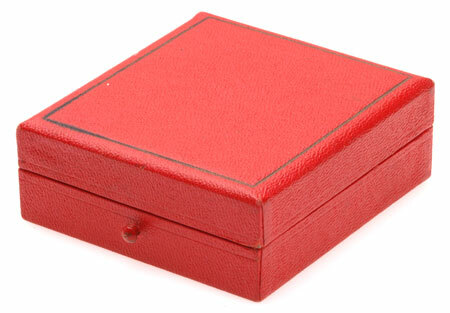 Case: Red leatherette covered wood box, blue velvet inset, padded blue silk lid. 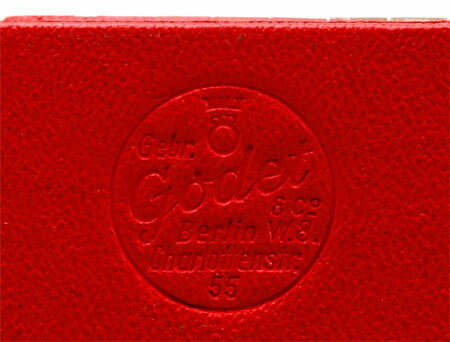 silk ribbon strap with gold lettering, impressed maker logo on bottom: Gebruder Godet & Co. Berlin W. 8. 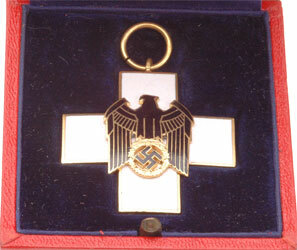 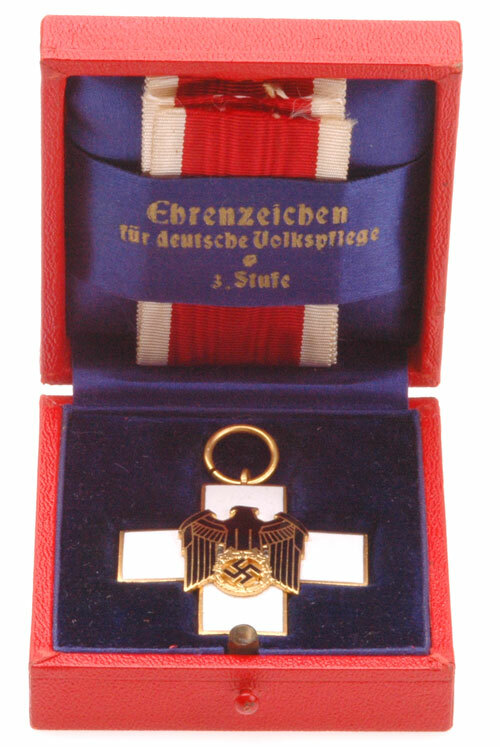 Charlottenstrasse 55, mint unissued condition.